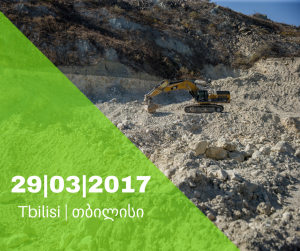 On 1-2 February 2017, CENN organized III regional meeting within the framework of the project Promoting Environmental and Social Accountability in the Mining Sector in the Caucasus. 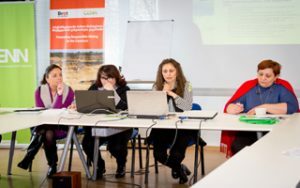 The meeting was attended by the partner organizations from Armenia and Azerbaijan, Local Working Groups (LWGs) from mining affected regions from Lori region (Armenia), Ganja-Gazakh Economic region (Azerbaijan) and Imereti, Kakheti, Tkibuli, Kvemo Kartli and Shida Kartli (Georgia). The purpose of the meeting was to present the activities implemented within the project and develop action plans for each target country. Furthermore, the main problems caused by irresponsible mining activities at the local level were presented during the meeting. The aim of the project is to reduce poverty, enhance environmental education and awareness, enhance environmental and social security related to mining activities and foster sustainable rural development. The project is being implemented with the financial support of the German fund, Bread for the World.